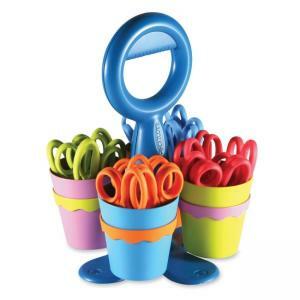 Teacher Scissors Caddy keeps your scissors organized. Design features four colorful, removable cups for easy storage and distribution. Plastic cups and scissor handles are treated with Microban antimicrobial product protection that inhibits the growth of bacteria that causes stains and odors. 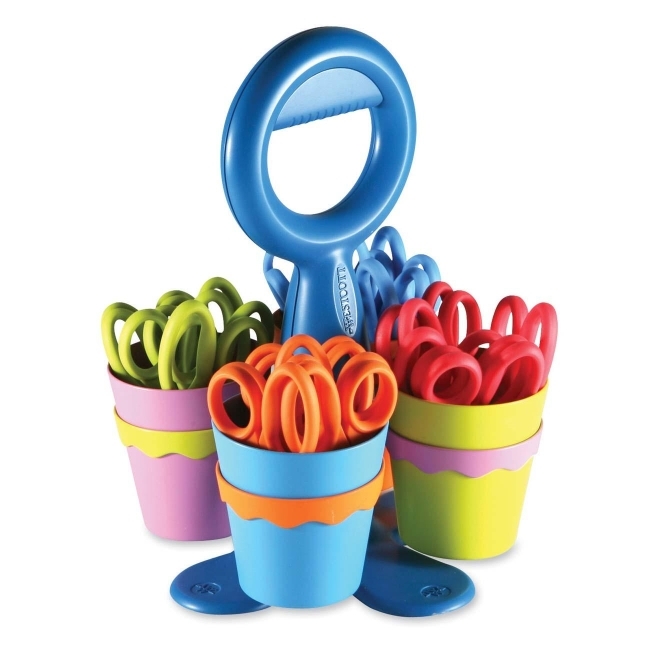 Scissors Caddy includes 24 child-sized 5" scissors for both right-handed and left-handed use. Scissors have soft handles and stainless steel blades that resist corrosion.